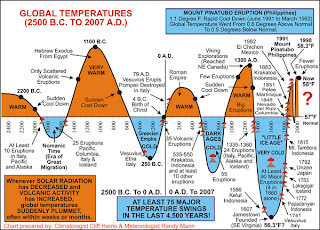 Brad Oyler's blog: Is global warming really our fault!?! Is global warming really our fault!?! It's amazing how people believe almost everything on TV. It's as if these facts about global warming don't exist. Also, read this hilaroius article from 30 yrs ago: http://denisdutton.com/cooling_world.htm I guess as long as idiots control the media, most of us will be completely clueless to the facts.